McArthur Homes Chooses ASTRALCOM for Digital Marketing | ASTRALCOM - Content Strategy, Conversion Marketing and Customer Acquisition. 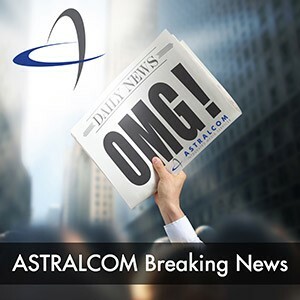 (Lakewood, CA – July 24, 2018) – ASTRALCOM, LLC today announced that they had recently entered into an agreement to provide professional digital advertising services for McArthur Homes, based in South Jordan, Utah. Since 1993, family owned and operated McArthur Homes specializes in providing new affordable homes and townhomes to Utah families in beautiful, master-planned neighborhoods. With an emphasis on quality, details and a smooth home building process, McArthur Homes is a leading home builder in Utah. McArthur Homes chose ASTRALCOM for their Search Engine DominatorSM pay-per-click search (PPC) advertising service. “I’d been running my own PPC campaign for a while, stated Ms. Paige Giles, Online Sales Counselor at McArthur Homes. “It just seemed that I could be getting better results and that’s where ASTRALCOM comes in,” added Ms. Giles. “99% of the time, we can demonstrate immediate value in the PPC campaigns that we help our clients with,” said Richard Bergér, VP at ASTRALCOM. “In McArthur Homes’ case that value came at day 3 of the campaign: New users up 79%, bounce rate down 3%, goal completions up 48%,” Mr. Bergér demonstrated. ASTRALCOM provides a full suite of marketing services for homebuilders. Visit the ASTRALCOM website at www.astralcom.com/homebuilders.